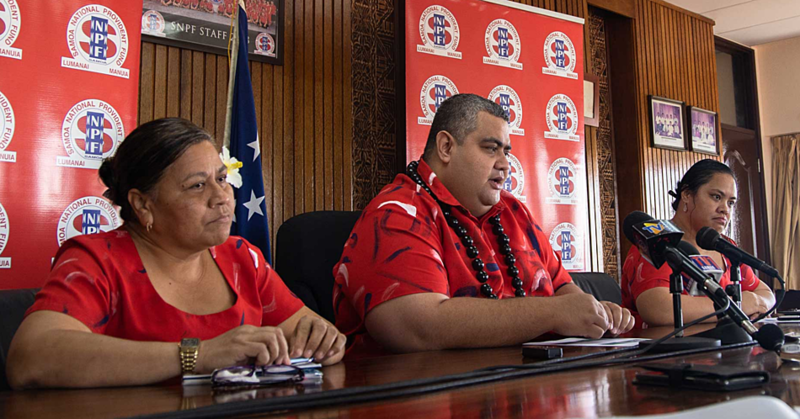 More than 200,000 students and 1,000 teachers across 100 schools throughout P.N.G., Fiji, Samoa and Tonga will benefit from the agreement, with the N.R.L. implementing tailored educational resources and health and awareness programs. 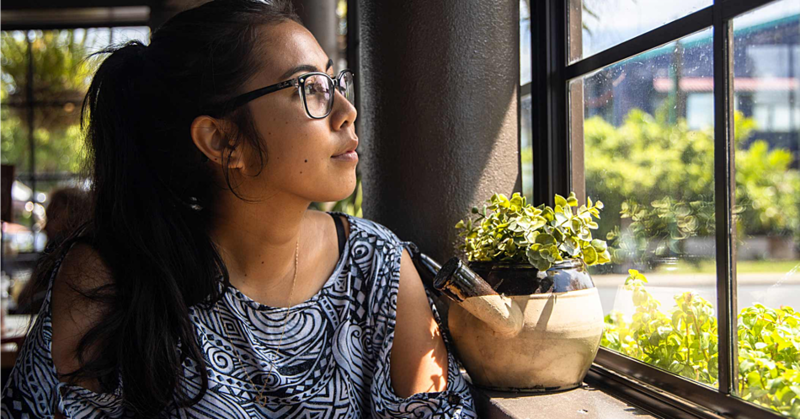 These programs will continue to build upon the success of those already established in partnership with the Australian and P.N.G. Governments. N.R.L. Chief Commercial Officer Michael Brown said the partnership would ensure that Rugby League would continue to grow and prosper throughout the Pacific. “Rugby League has an incredible following throughout the Pacific and the N.R.L. has been very fortunate to benefit from many talented players from the region for many years,” Mr. Brown said. 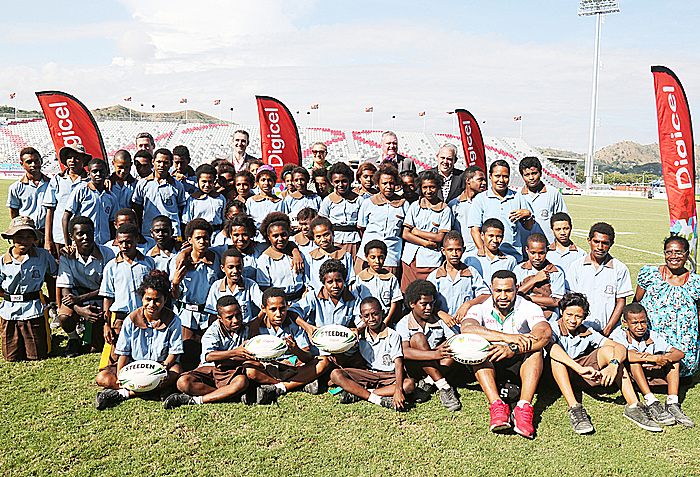 Digicel Samoa C.E.O., Rory Condon said community sponsorships were at the heart of Digicel. 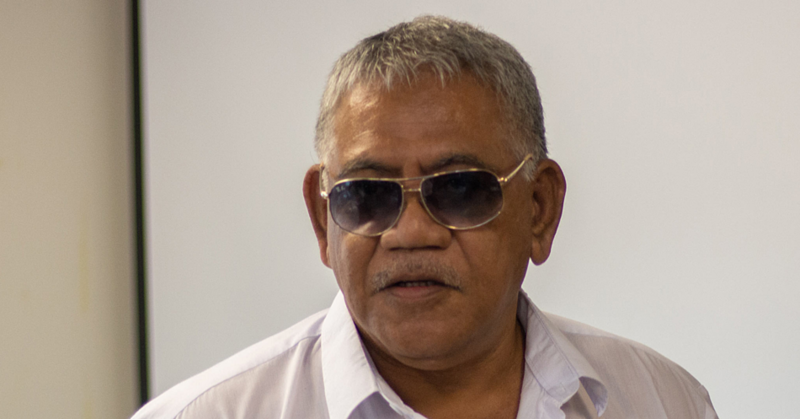 “Rugby League is well known in Samoa and is evident by the amount of Toa Samoa players playing professionally in the N.R.L.,” Mr. Condon said. “We are incredibly proud to partner with the N.R.L. to ensure the young players in Samoa will have greater opportunities to develop the skills required to play sport, and learn positive values including teamwork and mateship,” Mr Condon said. Ruan Sims, Captain of the Harvey Norman Jillaroos, joined Stanton Albert from the Penrith Panthers at the National Football Stadium in Port Moresby today to officially launch the partnership in Port Moresby yesterday afternoon. The agreement will also see Digicel feature on the sleeve of the Australian Prime Minister’s XIII jersey when the team takes on the P.N.G. Prime Minister’s XIII at the venue in September.